Paper submission to the Conference is now open. A detailed list of suggested topics can be found in the call for papers. You may submit your paper at the DSAI 2015 here: http://www.dsai.ws/2015/openconf. Accepted papers must be a maximum of 10 pages long. Electronic submissions in accessible PDF electronic format are strongly recommended. 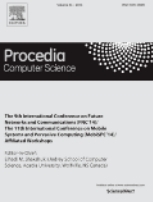 Authors are requested to adhere to the conference format (author guidelines for Word or Latex) in preparing the camera ready version of their contribution. Also, the review comments included in the acceptance notification must be taken into account.